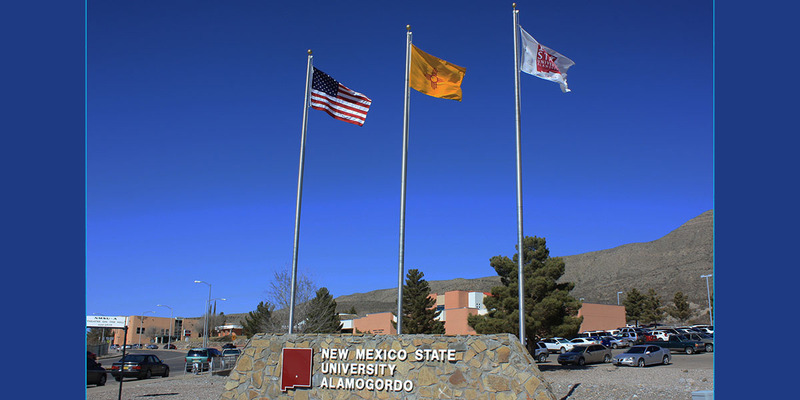 NMSU-A admissions policy requires juniors and seniors to have a 2.0 GPA in order to take vocational, technical, or applied courses and a 3.0 GPA to take academic courses. Sophomores must have a 3.75 GPA. Some courses require taking a placement test before enrolling to ensure all students the greatest chance for success. Some courses, including PE and developmental courses, do not qualify as part of Dual Credit. In all cases, the college Dual Credit Advisor has the final decision on course selection. As a Dual Credit student, you are admitted to NMSU-A in a nondegree-seeking status. After high school graduation, you must apply for admission and change your status to degree-seeking in order to continue. An overview of Dual Credit, the instructions, and necessary forms are available here in PDF format. You can print these forms or obtain a copy from your high school counselor or Dual Credit Advisor at NMSU-A. Dual Credit – Overview, Instructions, and Forms (PDF). State of New Mexico Dual Credit Request Form (DOC). Dual Credit is a statewide sponsored program for eligible High School Students in which they can receive high school credit for taking approved college courses. 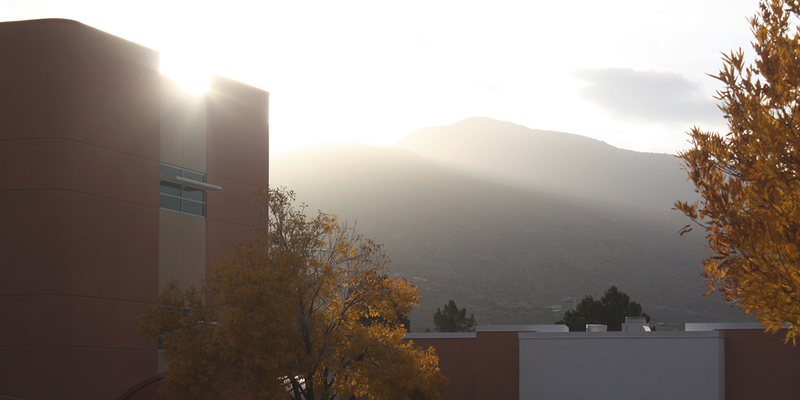 If you qualify, you can take courses at NMSU-A which will grant you both high school and college credit. The University waives tuition and general fees, while the high school provides most textbooks. Dual credit is a wonderful opportunity to explore the secondary education system and gain credits that will help you succeed in the future as well as exploring possible career options for when you graduate. Interested? Click on the following links to get started. Be enrolled as a high school Senior, Junior, or Sophomore. 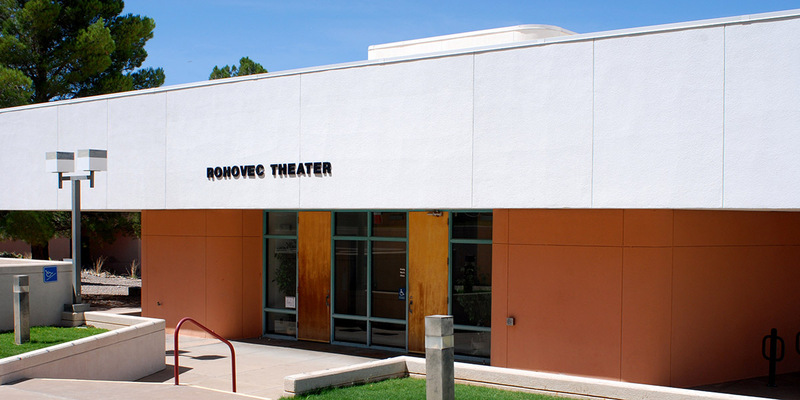 Be enrolled at least half time in a school district that has a Dual Credit agreement with NMSU-A. Maintain a minimum GPA of 3.0 for Juniors and Seniors for Academic courses (2.0 for Applied & Technical Courses), Sophomores must have a 3.75 or better (2.5 for Applied & Technical Courses). Download the New Mexico Dual Credit Request Form and complete it. Puck up a Dual Credit Application Packet from your High School counselor or NMSU-A Admissions Office located in room CB 603. Take the completed forms to your High School Counselor or Elma Hernandez (575.439.3725) at NMSU-A in Student Services. Take the COMPASS SKILLS Assessment. Meet with Rose Pena to begin your registration process. First and foremost, ask questions of the instructor if you don’t understand. Go to the instructor’s office hours, or catch him/her after class, or email the instructor or call during office hours. Don’t wait if you are unclear – and don’t let being unclear cause you to get behind. Catching up is usually difficult and may easily result in a less-than-desired grade. A course taken for dual credit is a college course. 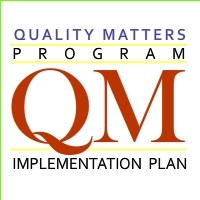 Exceptions or accommodations will not be made simply because a student has not yet graduated from high school. Dual credit students, like any other student in the course, must adhere to the requirements of the syllabus to the course. Be sure to read it carefully as soon as you receive it. If there is ANYTHING that you believe could present a problem, meet with the instructor ASAP to discuss it with him/her. A course taken for dual credit is a college course in that it appears on your college transcript. Dual credit courses represent the beginning of your college career, and the grades, as well as the credits, count toward future college degrees. You are beginning your college GPA with these courses. College courses generally require considerable self-motivation and self-discipline. Instructors provide a syllabus and a schedule of assignments and expect students to keep themselves on track. College courses often (not always) require only a few major assignments (tests, papers, presentations, or projects) that make up the bulk of the grade for the semester. Often the assignments that carry the most weight are due in the final 3-4 weeks of the course. Be aware of how much each assignment is worth and be sure to provide the effort it takes to complete the assignments well. Plan to spend time studying. Use the resources of the Academic Support Center (tutoring and small group work) to help if you have difficulties. Talk with your instructor about questions you have. Students will be required to get into contact with the LTC and set up and appointment for the Canvas Training. While student ID’s aren’t a requirement for dual credit students it is highly recommended that a student obtain one since they allow for free access to certain student events and are free for the first one. To obtain your student ID you will need to have your banner ID on hand as well as a photo ID card before going to receive your student ID. The office for Student ID’s is located in the back part of the Library and hours are posted on the door. It is important to note that while the state pays for tuition and the High Schools pay for the books there are certain course fees that can be charged to the student depending on the course they take. Examples of these fees can be seen in applied art courses and technical courses which may require additional materials outside of the textbooks and tuition. It is important to stay in contact with your instructor to ensure your academic success. Their contact information is generally provided in the class syllabus along with office hours. Please note that dual credit is the beginning of your Secondary Education academic record and can/will effect your Financial Aid eligibility. As your student may have a desire to participate in Dual Credit it is important to know the rights that you as parents have and the rights that the students have under the FERPA policy. FERPA stands for the Family Educational Rights and Privacy Act and protects students rights in regards to their information such as grades and financial information they may have with NMSU-A. For parents of dual-credit students: Students who are enrolled in both high school and courses at a postsecondary institution provide a unique situation. While the rights under FERPA belong to the parents with respect to high school records, they belong to the student with respect to the postsecondary records. 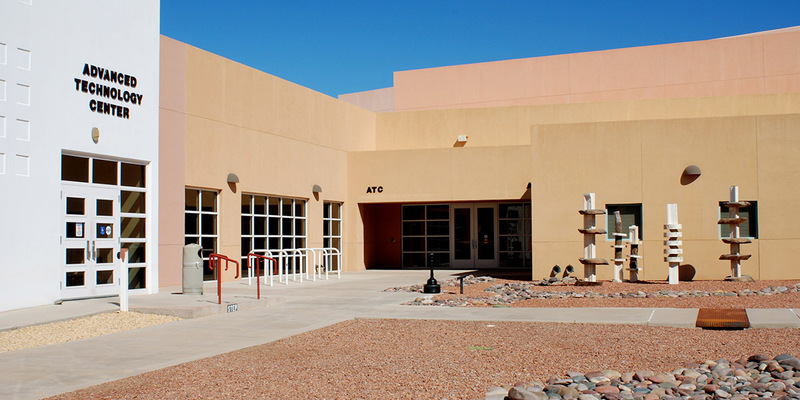 NMSU-A strongly encourages parents of dual-credit students to respect the student’s ownership of his or her education record at the college level and seek ways to gain that information while safeguarding the student’s rights and responsibilities. Faculty teaching dual-credit courses will make every attempt to communicate with and through the student, as an important maturation point for college students. 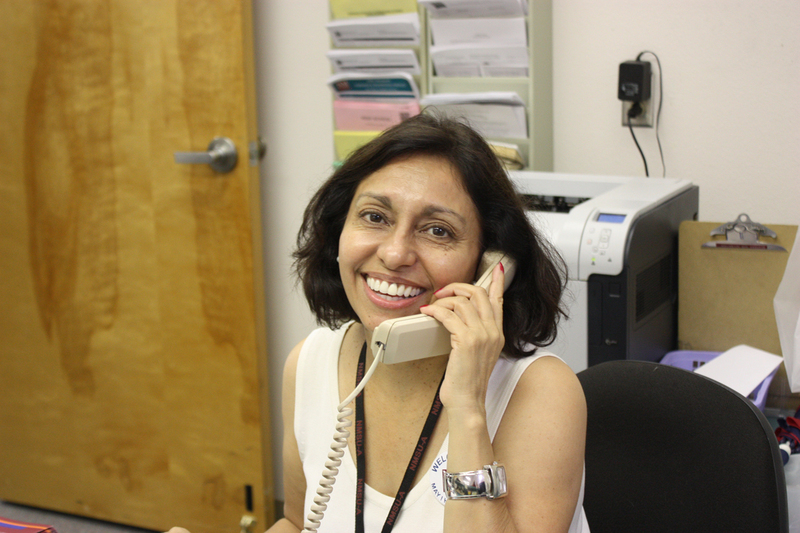 Hi, I’m Elma Hernandez, the Dual Credit Advisor here at NMSU-Alamogordo. I’m inviting students from Alamogordo, Academy Del Sol, Tularosa, Cloudcroft and Mescalero High Schools, including private schools and home schooled students, to participate in the Dual Credit program. It’s the perfect opportunity for students to earn college credits (free tuition) and high school credits at the same time while reducing the cost of a college education. Please visit our website or call me at 575.439.3856 or stop by and see me at Student Services to get a jump-start on earning credits toward a Certificate or Associate Degree!